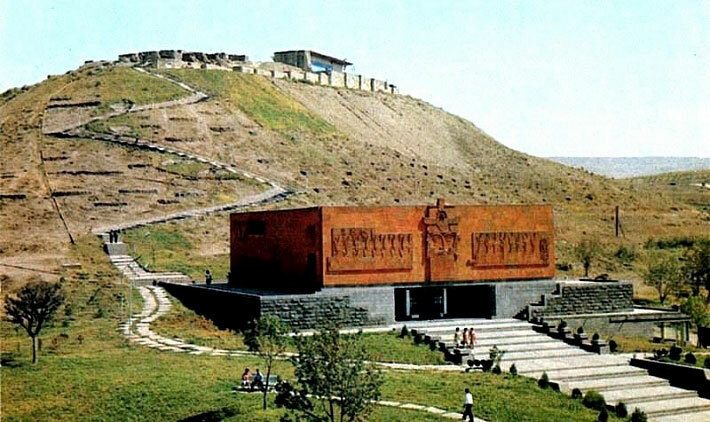 The fortress of Erebuni is on Arin-Berd hill. The Urartian king Argishti the first built it in 782 B.C. During the excavations started in th 19th century a cuneiform inscription was found, according to which the history of nowadays Yerevan starts from this place. On the top of the hill, the ruins of the citadel and the frescoes on the wall reveal the high artistic achievements of those remote centuries. The museum down the hill displays the finds that have been excavated in the territory of the fortress.